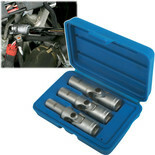 These sockets have a universal joint for easy replacement and removal of all popular glow plugs. 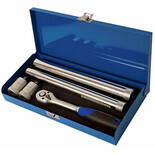 Manufactured from matt finished Chrome Vanadium and 72mm long. 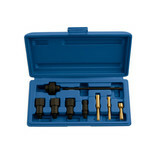 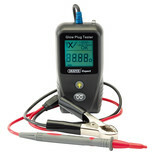 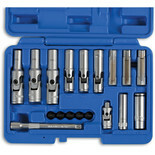 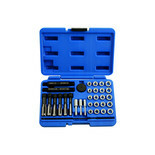 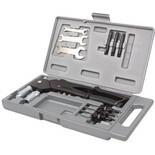 The 9 piece Laser 6035 Impact Glow Plug Removal Kit is 1/4"D. Specially designed low torque impact vibration wrench set for removing stuck or seized diesel glow plugs. 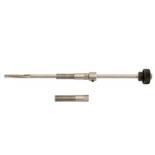 Glow plus sockets (150mm long) with universal joint for restricted access and designed to grip glow plug being extracted. 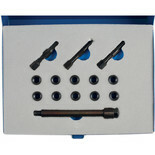 Glow plug sockets (150mm long) with universal joint for restricted access and designed to grip glow plug being extracted. 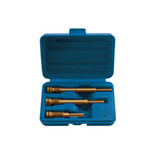 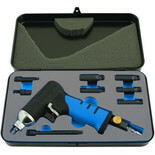 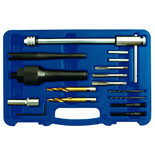 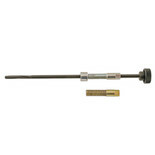 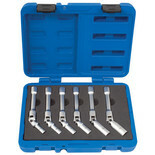 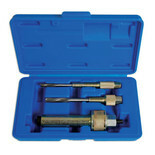 Laser 5154 - Three Piece Glow Plug Reamer Set.